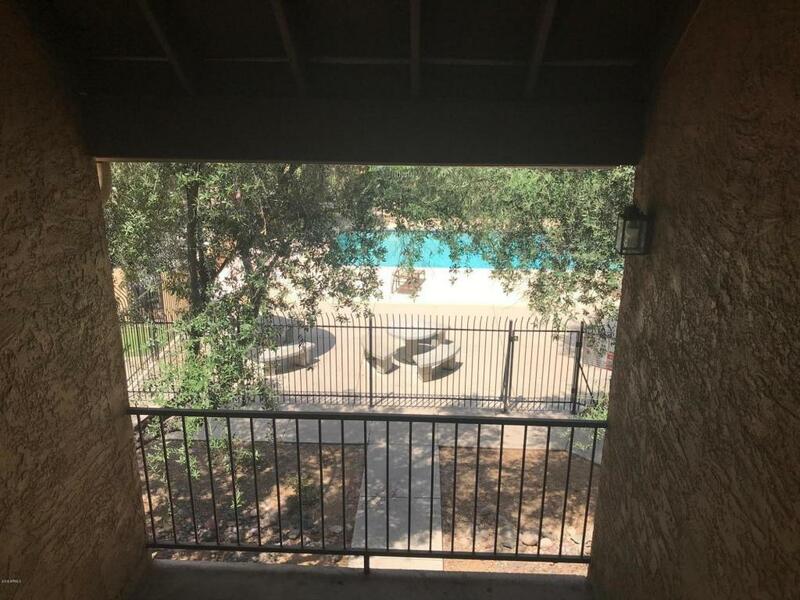 Charming top floor condo with fantastic view of the pool and the lush common areas. 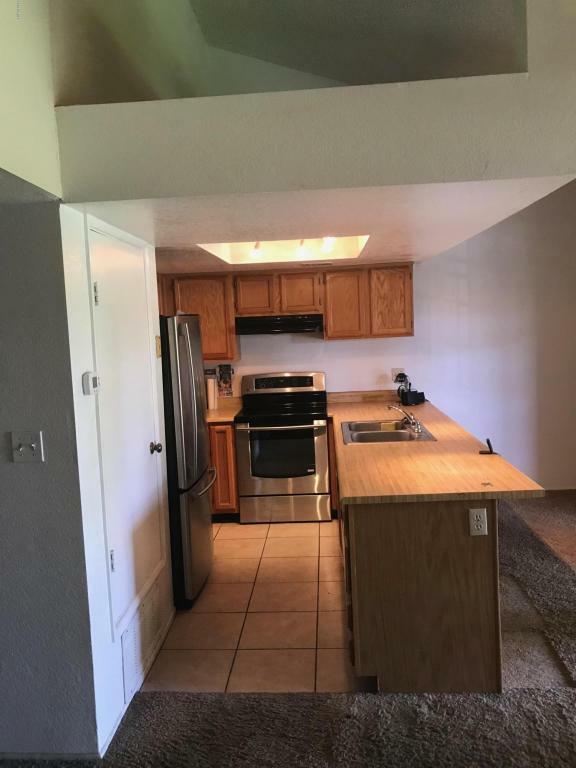 One bedroom one bath perfect for someone looking for a quaint yet well utilized space. Large en suite master bedroom. Inside laundry. 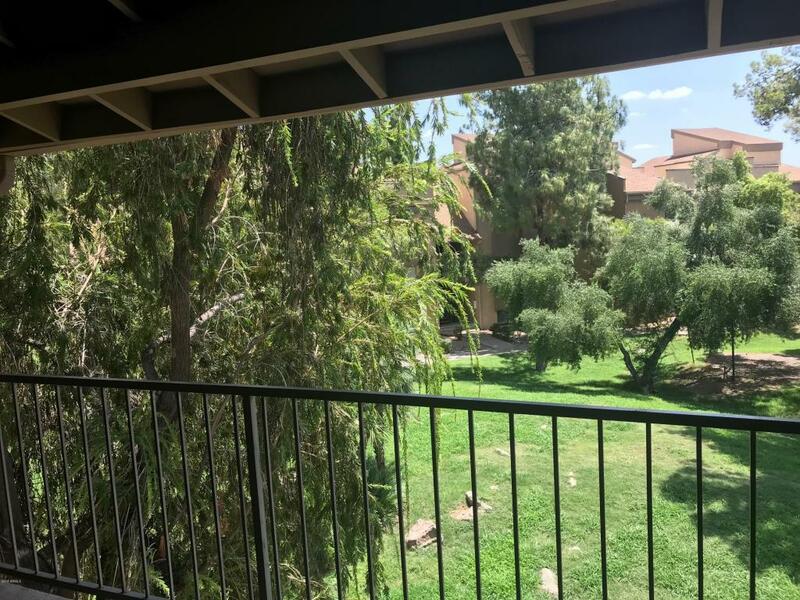 Kitchen offers stainless steel appliances, and living area features vaulted ceilings with loft potential and french doors to an oversized outdoor balcony overlooking grassy common area. Property includes all appliances and is professionally managed! Currently tenant occupied. 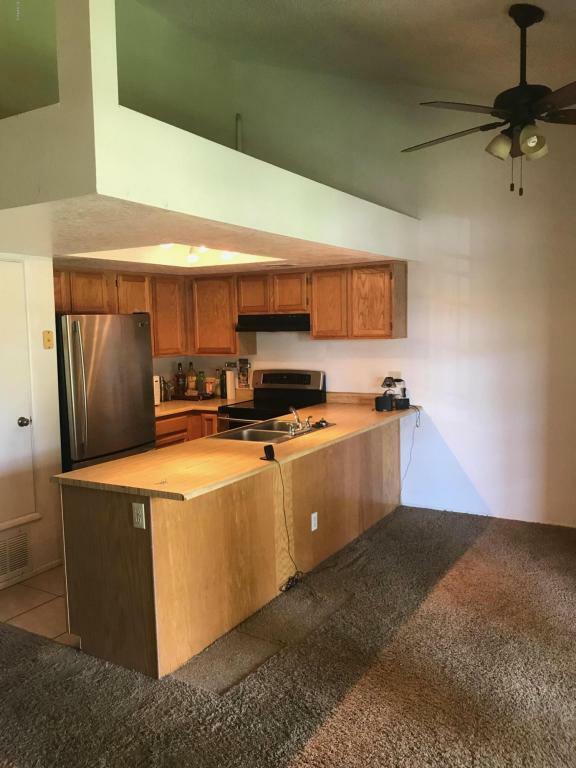 Tenant would like to stay but is month to month. Sellers are both licensed real estate agents in the State of Arizona. Please call sellers for access and allow 24 hours notice for tenant's rights.